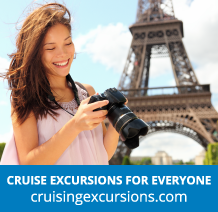 Our cruises from the UK allow you to experience the wonders of cruising without having to worry about flights or arranging other ways to reach a far-flung destination. You can sail from a variety of different UK ports including Southampton, Harwich and Avonmouth; creating a hassle-free holiday experience that includes minimum fuss and maximum enjoyment. You can even sail from the UK on one of our fascinating world cruises.